The Verizon Ellipsis 7 is probably not the first choice for tablets among Android Police readers. It's a low-end, whitebox tablet from some no-name OEM that Verizon has rebranded in order to create a product that could sit at the very bottom of its tablet lineup. 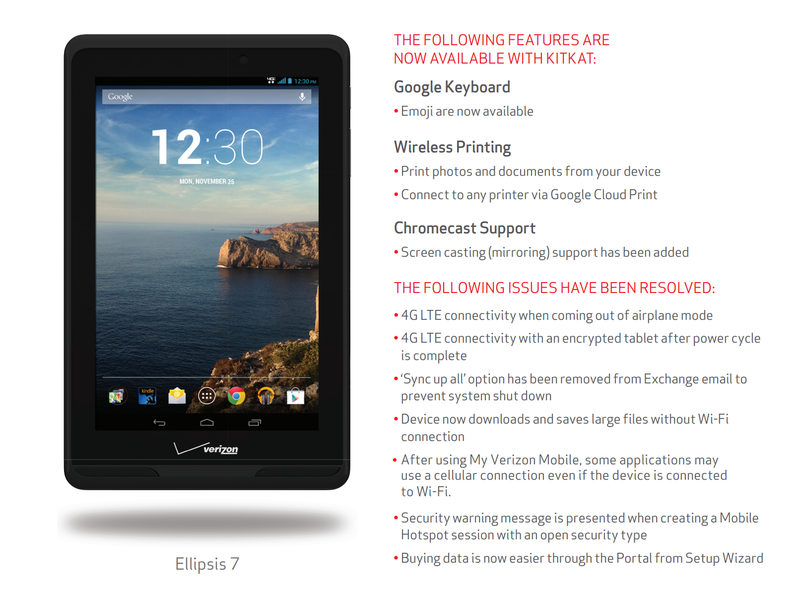 Even so, those people who did buy an Ellipsis 7 (or got one for free in various packaged promotions) were probably quite happy to see the KitKat update come in a couple of weeks ago... assuming they actually got to use it. On this Verizon support forum, a handful of Ellipsis 7 owners are complaining of "boot loops" after upgrading to Android 4.4 via the OTA. Boot loop is a colloquial term for a device that partially boots, then shuts down and reboots again and again. 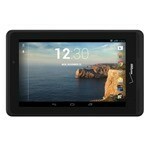 It's a common problem with Android ROMs and software packages that haven't been particularly well-tested. One user reported that holding the power key and volume key down during the reboot process (a common button combination to open the fastboot or recovery menu for various Android devices) would break the cycle, while others are still experiencing uninterrupted boot loops until the tablet loses power. Verizon's official support staff has been at least somewhat helpful, suggesting the button combo above... right before they got to the part of the script where they ask about water damage. We assume that at least some Ellipsis 7 owners have successfully upgraded; even the low userbase of that device would have more complaints if the problem was universal.